Preheat oven to 350. 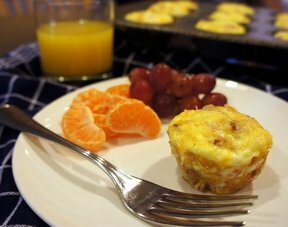 In large bowl, combine eggs, milk, cheese, salt and pepper; set aside. Heat olive oil or butter in large skillet, sauté onions and all vegetables until tender. Add vegetables and sausage to egg mixture, stir well. 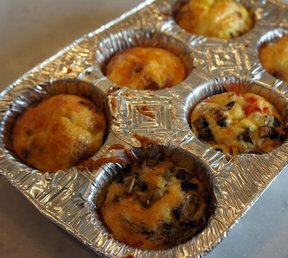 Place 12 foil baking cups into cupcake pans. 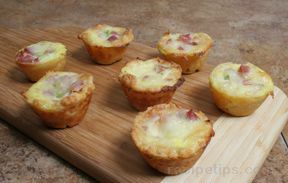 Distribute sausage and egg mixture evenly into baking cups. Bake for 20-25 minutes or until eggs are set. Remove from oven, sprinkle with Parmesan cheese.